In India,A tea sip a must for every Indian because its refresh the mind like no other Beverages did.Tea is mother drink and serves in every home.Indian loves tea more than Coffee.India accounts for almost 30 percent of the global production of tea. Tea is also the only domain where India has been globally prominent in the last one and a half centuries. 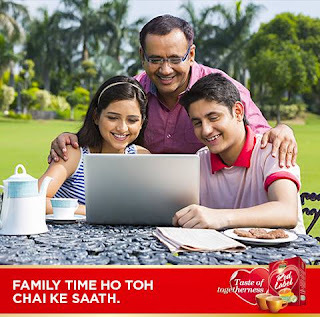 Brooke Bond is the first master brand to be launched by HUL as it incorporates power brands Red Label and Taj Mahal. Red Label is for those housewives who seeks to bring her family together over a cup of tea.Brews togetherness by bringing people together over a tasty cup of tea made with your love and warmth.There are many benefits of the different tea serving methods.Tea helps to increase the immunity in the Body.So its have health concentrated segment to attract the consumers.Tea when drunk on its own, without milk and sugar, not only tastes great but contains virtually no calories. This means that tea is an excellent accompaniment to a healthy balanced diet and lifestyle.ea is a rich source of flavonoids in the diet. Through this different variant ,These brands don’t want to lose any Customers.The Natural Care tea is also Master Stroke of Unilever to add more customer who has less immunity or living such area where the atmosphere is Constantly Changing.Natural Care, a value added variant of Red Label and 3 Roses also grew well ahead of the market by building on the differentiated proposition of immunity. 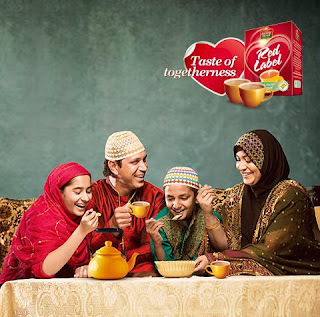 Each brand has a distinct functional and emotional proposition and hence, They communicate their benefits individually to their target Customers.We have seen many Television Commercial of Brooke bond Red label.All commercial strategy is to bring all family member together with different Games and new product Launching and connect with their Customers.The brand was consistent in using the same promotional strategy and the baseline “Taste of togetherness” from last many years. Anupam Kher has been chosen to represent the popular Indian tea brand, Red Label. 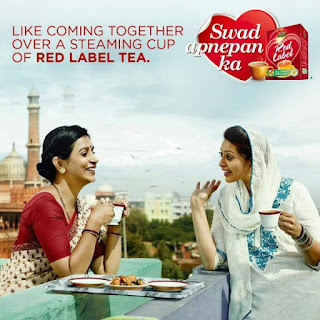 Brooke Bond’s Red Label tea. In the new Red Label Health challenge, the brand has roped in the lead pair, Akshay and Sonakshi to take the brand message ‘Swast rahein, mast rahein’ to the masses. Akshay tries to convince her that the tea is also healthy apart from being tasty. Sonakshi believes the tea to be tasty but is not convinced that so much tea is also good for health.We turned the table by giving consumers a chance to influence these celebrities with their Point of view by sparking a debate between Akshay and Sonakshi to get the campaign rolling. 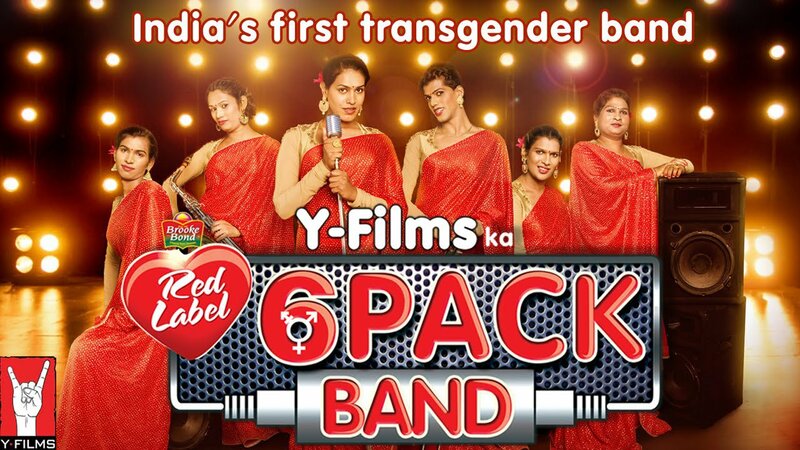 The Brand Brooke Bond Red Label finds a fit in the initiative as its core philosophy is brewing togetherness.In this campaign, they chose the medium of music to spread this message.The brand has rolled out its debut single number ‘Hum Hain Happy’, which is a rendition of the original popular English song Happy, But now got its first transgender band called ‘The 6 Pack’.Hindustan Unilever’s tea brand Brooke Bond Red Label, the video has already gone viral garnering 5.2 lakh views on YouTube. This Brand stands against the many Social Stereotypes and proves its have different thinking and believe into connecting. Brooke Bond Red Label believes in making the world a more welcoming place by diffusing socially awkward situations. 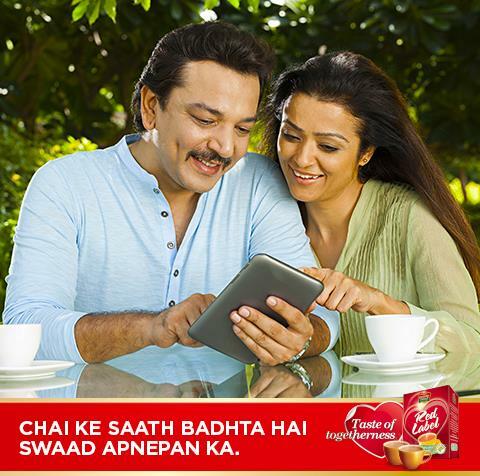 It encourages people to live those little moments that bring us all closer by breaking barriers over a cup of tea. Recently They come with a Unique Campaign On railways station i.e. “Share a Free Tea “its really unique promotion to where they propositioning “Taste of togetherness” and connect with the customers. Change the Mindset of Customer is the great way to connect with your Target.and such steps give huge buzz and acceptance. It’s good to see that brands are taking more responsibility towards humanity than anyone else. A small thought, idea, effort can create a revolution.his is very BOLD move. A great way to bring people together and remove the bias in the mind. After all, we are humans.The profession could be a choice or destiny. As long as you are legally bound, respect your work and most importantly, being Accepted, you are capable of achieving goals. Acceptance comes from a change in mindset. The Red Label convince Sonakshi campaign doesn’t seem quite convincing. But I can say that the Red Label Facebook page is a treat for tea lovers with top-notch content posted on the wall.Many unique contents, communication happening with their customers. Also sharing the health benefits of the natural tea.The content is more convincing about the health benefits of drinking tea. 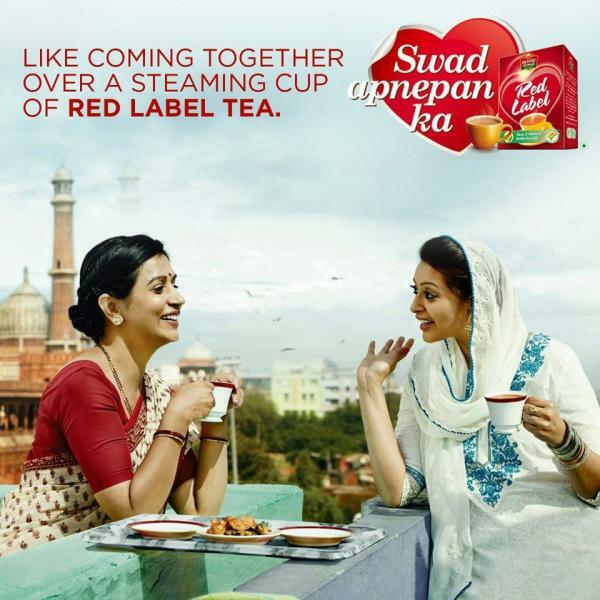 Indian Choose tea on the basis of its taste.so its difficult to switch over from one brand to another for Indian Consumer.Such barrier is major in terms of entering into a newer territory.Red label is going with new strategy “tea is healthy” can get the huge appreciation from the urban consumers. Health Conscious community is increasing and they love such products which are natural and health benefit.I think the red label should be educating their consumer by launching unique campaigns.They also share the benefits of Natural herb contains tea to their customers. There are many areas are still away from brand reach.This brand should reach them and I feel that Red Label tea need some more “share of voice”. Some times I feel that if Bachchan says “Apnepan ka Swadd” it creates more impact at this point in time, although Big B endorses anything from underwear to paints.This brand is of India’s best marketing minds.let’s see Whats next they are going to do to gain the Customers wah ! wah!.